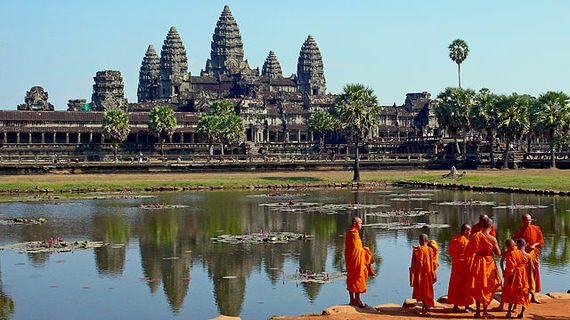 Siem Reap was once a home base for exploration of the Angkor Archaeological Park. But in recent years, it has become so much more than that. While exploration of the more than 400-square-kilometre park, which includes the remains of the ancient Khmer Empire, is undeniably a must-see for a portion of your 48 hours in the city, it's not all you should do. Siem Reap has blossomed into so much more than the "Gateway to Angkor Wat," and this is how you can fill 48 hours with adventure, delicious eats, nightlife and even a little Cambodian-style relaxation. Arrive at Siem Reap International Airport, and the adventure begins immediately. 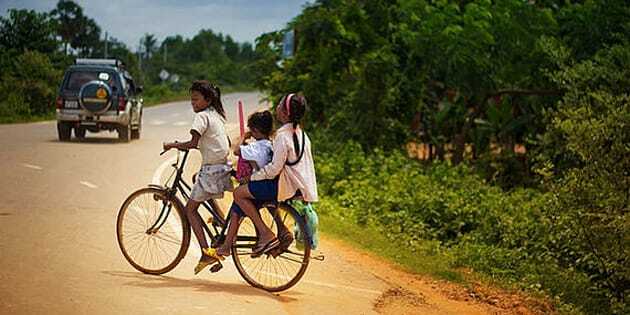 You'll be haggling over the price of a tuk tuk ride into the town of Siem Reap or your nearby hotel, and the ride will be worth every Cambodian Riel you spend. Pull up to the place you'll be calling home for the next 48 hours, and you'll undoubtedly be greeted by smiling faces. No one is a stranger in Siem Reap, and you'll probably be calling every employee at your hotel a friend by the end of your stay. Kick off your visit by tasting the local cuisine at the Khmer Grill Restaurant. The cozy atmosphere is more than inviting, and you'll enjoy an affordable yet authentic meal (consider the fish amok and fresh spring rolls) before introducing yourself to the local shops and the many places to stop for an Angkor beer or cocktail along the way. Dinner is one of the most exciting times of day in Siem Reap, and one of the most renowned places to dine is the Damnak Lounge. Phnom Krom Sour Fish Soup, Takeo Coconut King Prawn Curry and Truffle Risotto are just a few of the countless dishes you'll find it impossible to choose between. 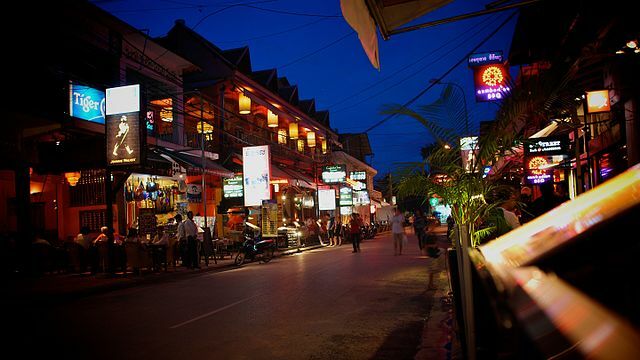 The neon lights of Pub Street at night may be beckoning, but you'll want to save some energy for a long, hot day of exploring Angkor's ancient temples and grounds. And once you've heard some tales from fellow travelers, you'll be itching to head to the bucket-list-worthy UNESCO World Heritage site bright and early. Rise and shine with breakfast at your cozy hotel (a basic breakfast is often included), or hit the streets in search of some of the country's tastiest and freshest street food -- and yes, for breakfast. The people at locally-acclaimed Siem Reap Food Tours will help you navigate the street food scene, or you roam the streets yourself in search of coconut-cream-filled dumplings and grilled fish-paste pancakes. Trust us, it's all better than it sounds. Whatever you decide to eat, be sure to fill your belly, because you're in for a life-changing day of exploration. No time is ever early enough to beat the crowds at the Angkor Complex, but "the earlier the better" is a rule of thumb to follow. However, even the thickest groups of tourists snapping photos can't take away from the mysticism and beauty of the remains, which date all the way back to the 9th century. With just one complete day to explore the complex, you may want to hire a guide to zip you to all of the major sites via tuk tuk, or take it all in slowly on foot, but don't expect to see every nook and cranny of the tropical forests, influential temples and other iconic examples of Khmer architecture, including the hydrological engineering systems, which still exist to this day. Don't hesitate to grab a large bottle of water, coconut or a snack at one of the many shacks awaiting outside the complex entrance. You may even find yourself picking up a pair of "elephant pants" or an "I Love Cambodia" while chomping on freshly-prepared fried rice. However, those in search of a more memorable meal will want to venture back into Siem Reap to dine at Haven, a small but heavenly eatery with shaded seating serving out-of-this-world international cuisine. Even better, you can feel good about eating at Haven, because it serves as a culinary and hospitality training ground for young adults from local safe shelters and orphanages. Dig in, because you're on the way to shopping until you drop. You may not have come to Siem Reap with the intention to fill your suitcases with local crafts and budget-friendly trinkets, but you may need to buy an additional piece of carry-on luggage before you leave. The Angkor Night Market heats up just as the sun goes down, and you won't be able to miss it with the neon lights leading you there. This labyrinth of stalls provides a fun nighttime environment for stocking up on souvenirs, and there's no shortage of places to grab a drink and unwind while haggling for the perfect price. Take a tuk tuk ride back to Pub Street, and you'll probably find yourself bar-hopping like the backpackers. See an Apsara show while snacking on appetizers, admire the nighttime lights from a rooftop bar and dance for hours in one of countless bars and clubs. Keep track of time, because many of the bars won't shut down until the sun is back on the horizon. 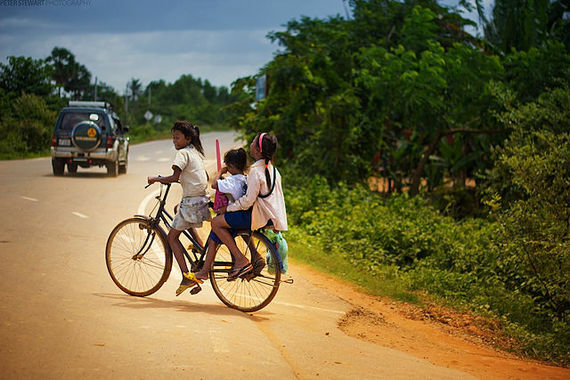 You won't want to leave Siem Reap after just 48 hours, so you may want to extend your stay. But for those who do have to get back on the plane (possibly with a hangover), a stop at the Fresh Fruit Factory for Cambodian fruit smoothies and mango pancakes is exactly what the doctor ordered. Stop by the Peace Cafe for one of their daily yoga classes or meditation sessions after a light meal, and you'll be ready to move on to your next Southeast Asian travel adventure.